There’s not a lot I can do out there, apart from keep feeding the birds. There’s all kinds of things out there and my neighbour even saw a woodpecker having a go at an old dead elder at the bottom of the garden. Here’s the evidence, now I just need to invest in some binoculars. 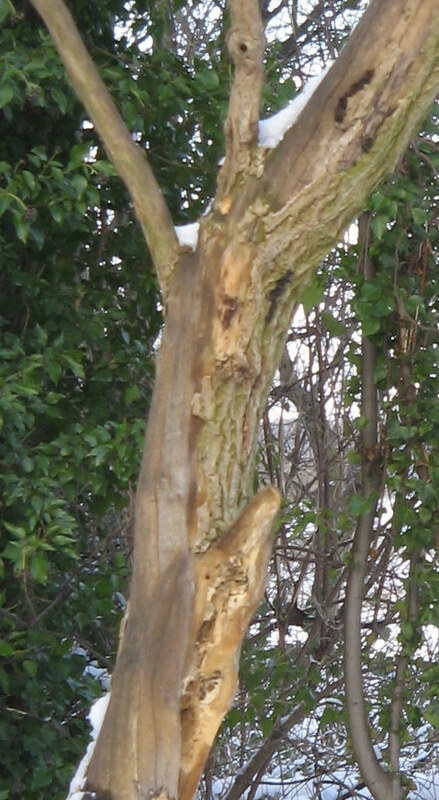 Obviously that’s now going to be a feature of the garden – I would have chopped it down but not now. Mine have got fresh fatballs today! Just look at the state of this! 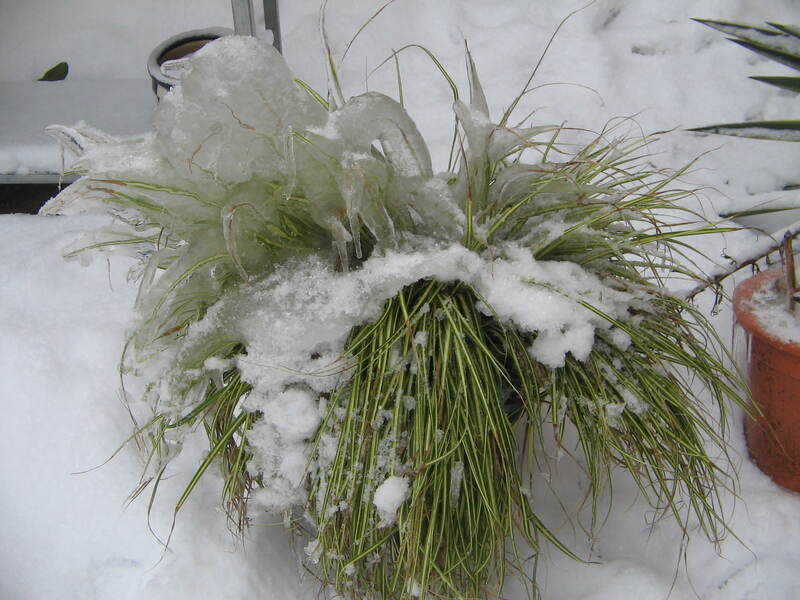 Its a carex evergold ornamental grass which was sitting in a bucket under the dripping gutter and has become totally encrusted in ice. Shouldn’t have left it there really but with luck it’ll recover. So now another afternoon in front of the fire I think.